By focusing on maximising quality and potency within their weed seeds, Garden of Green seeds bank bring their customers the best possible level of medicinal value from every strain they grow. And by having a true organic philosophy throughout their entire farming process, this is a seed bank that is doing everything it can to provide natural cannabis seeds that truly heal. The medicinal properties of marijuana have long since been established. But Garden of Green want to take this momentum and run with it, developing such a variety of strains that everyone who is suffering can find total relief. Take a look at the expanse of Garden of Green seeds at the Original Seeds Store and you will soon realise that, no matter what ailment, there is a marijuana strain that can help. Look out for top performing feminised seeds from both indica and sativa strains like Sweet Russian which is a Black Domina crossed with an extremely potent White Russian and Amnesia Lemon Kush (Amnesia Lemon x Afghan Kush) that are focused on offering the highest levels of productivity. Not to be missed are Garden of Green Seeds autoflowering cannabis seeds such as Cookie Monster Auto, a fabulous automatic version of Girl Scout Cookies which promises to deliver in all yield, effect and flavour aspects and Super Skunk Auto with hints of lemon and hashish both of which are incredibly fast and easy to grow. 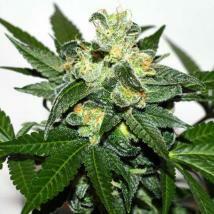 And with new strains coming out all the time, Garden of Green Seeds are always offering something new and refreshing. So fill your basket and get growing. It's a great way to discover the right natural relief for you. Our on line prices are the best and we offer them on sale in single seed packs, 3´s and 5´s and multi bundle seed packs containing up to 200 seeds.